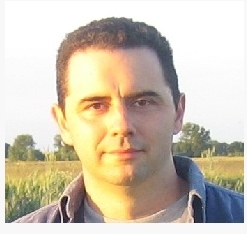 On Tuesday July 22nd, Chris Collins, writing on behalf of the 2nd OpenSimulator Community Conference, announced that one of the keynote speakers at the event will be Dr. Steve LaValle. Dr. LaValle, a professor of Computer Science at the University of Illinois, is the principal scientist for Oculus VR, and he will be addressing attempts to bring the Oculus Rift headset to the mass consumer market. Since Palmer Luckey’s 2012 prototype demonstrated that smartphone-based advances in display and sensing technology can enable a lightweight, high field-of-view VR experience that is affordable by the masses, widespread interest has grown across many industries, research labs, and potential end users of the VR technology. Dr. LaValle’s talk will highlight ongoing technical challenges, including game development, user interfaces, perceptual psychology, and accurate head tracking. He is certainly well-placed to be able to do so, having been working with Oculus VR since a few days after its successful Kickstarter campaign and has led its R&D efforts up to its $2 billion acquisition by Facebook in March 2014. Commenting on Dr. LaValle’s appearance at the conference, Cris Collins, who is serving at the conference chair, said, “With all the excitement surrounding the Oculus Rift and other virtual reality technologies, we want the virtual reality community to know that OpenSimulator is a great platform for building the open metaverse. The OpenSimulator Community Conference is an annual conference that focuses on the developer and user community creating the OpenSimulator software. Organized as a joint production by the Overte Foundation and AvaCon, Inc., the conference features two days of presentations, workshops, keynote sessions, and social events across diverse sectors of the OpenSimulator user base. The 2014 OpenSimulator Conference will take place on the OpenSimulator Conference Centre grid on November 8th and 9th, 2014, with registrations opening on September 15th, 2014, and interested parties can sign up to receive an email reminder to register. There is no doubting that Second Life is an excellent platform for teaching and learning. That’s been demonstrated time and again, with many and varied educational and distance learning programmes being run through the platform, and with many schools, colleges, universities and other organisations making use of Second Life for a wealth of education and learning activities over the years. 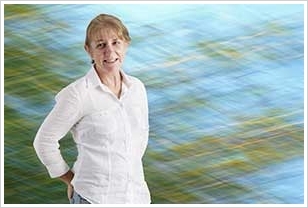 One of the more intriguing means of using the platform educational purposes has been recently highlighted in an Australian Broadcasting Corporation website and video report, Queensland’s Cane Farmers Learn About Climate Change Via Virtual Reality World, which outlines a project initiated in 2012 by the University of Southern Queensland (USQ), Australia, and which is now being extended. 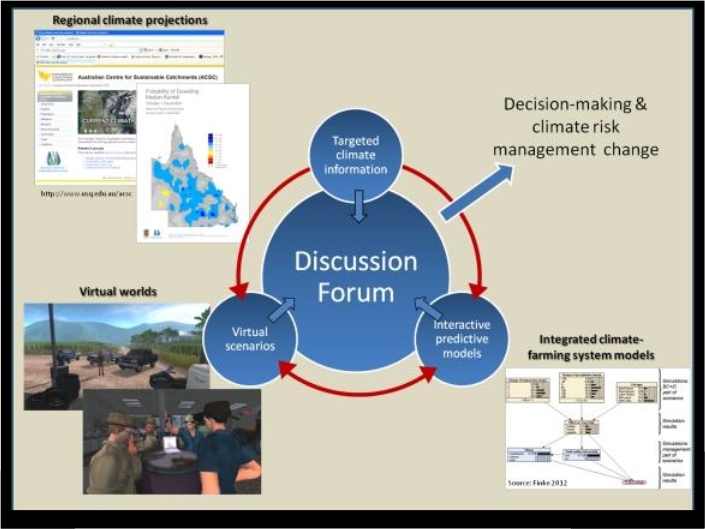 Sweet Success is a programme developed by the Australian Digital Futures Institute (ADFI) and the International Centre of Applied Climate Sciences (ICACS) at USQ. It uses machinima created in Second Life to encourage Queensland’s sugarcane farmers to consider sustainable farming practices (including their own environmental impact on the land), and to stimulate discussion about how to incorporate an understanding of climate risk into their decision-making. The videos are set in an environment typical of that found in Queensland’s cane growing region, and feature a number of individuals typical of the character and disposition of Queensland cane farmers. Lasting some 3-5 minutes, the films serve as both a focal point for discussion and as a means to introduce the farmers to the climate information, interactive models, etc., which might be used to better inform their farming decisions. The initial programme involved around 20 sugar cane farmers who were able to watch the films, study the material and discuss the issues and ideas raised. While there was some initial scepticism, the farmers admitted the videos were a positive means of passing on information on things they may not have thought about. Dr. Kate Farley, one of the Digital Futures faculty members involved in the project, and herself a long-term advocate for the use of virtual worlds for learning and teaching in higher education, describes the decision to use Second Life as being primarily a matter of finance and convenience: Second Life allowed the films to be put together at a far lower cost and much quicker than would have been the case with live action location shooting. Matt Kealley, senior manager of environment and natural resources for the Canegrowers industry group sees the approach as potentially offering the means to deliver a lot of information on farming, climate, weather and so on to his members. He also believes that once the novelty of being presented with a film shot in a virtual environment had worn off, his members found the information presented to be “compelling” in content and value. In fact, such has been the success of the pilot programme, the project has now been expanded to include some 400 Queensland sugarcane growers. While the cost-effective nature of using Second Life as a film medium might have been the primary consideration in using it for the Sweet Success films, Dr. Farley, together with fellow researcher, Dr. Kate Reardon-Smith, believes that the approach has other benefits as well. Leading a series of presentations on the work, both Dr. Farley and Dr. Reardon-Smith point to the use of Second Life as being ideal for addressing matters of climate risk assessment, sustainable farming methods and so on for a wide variety of farming locations and systems, simply through the use culturally appropriate clothing, language and design. In addition, the digital nature of the finished product makes it easy to package with the supporting material for dissemination anywhere in the world. Nor is Sweet Success the only activity undertaken by USQ to use Second Life as a means of educating farmers. 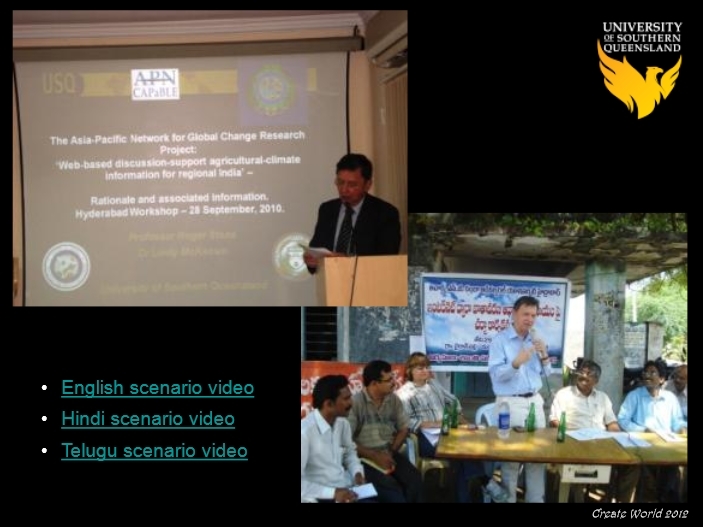 In 2010, ICACS, under its old title of the Australian Centre for Sustainable Catchments (ACSC), joined with the Asia-Pacific Network to use Second Life avatars as a means to present real world climate-based scenarios to farmers in the Andhra Pradesh region of India. The aim of the project was to challenge farmers about on-farm decisions that involve seasonal climate risk. As a distance learning project, it was delivered to Internet kiosks within the region where farmers could then discuss and debate the issues raised. All told, both of these projects present a unique and fascinating extension of the use of Second Life as an educational medium and for distance learning.